Securities offered through LPL Financial, Member FINRA, http://www.finra.org and SIPC, http://www.sipc.org. Investment Advice offered through Flagship Harbor Advisors, a registered investment advisor and separate entity from LPL Financial. 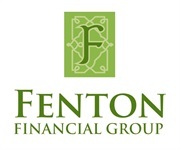 Fenton Financial Group and Flagship Harbor Advisors are not affiliate companies of LPL Financial. The LPL Financial representative associated with this website may discuss and/or transact securities business only with residents of the following states: CA, CO, CT, FL, GA, IL, KY, MA, MD, ME, NC, NH, NJ, NY, PA, RI, TX.